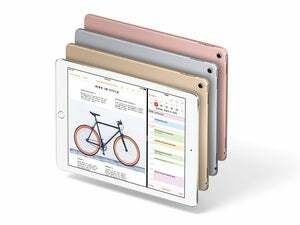 If you don’t want to bother with buying one in stores, you can preorder Apple’s latest iPad ahead of its March 31 release date. Apple’s latest iPad may be a familiar, tried-and-true size, but it’s anything but standard—this 9.7-inch iPad is actually an iPad Pro, and it’s available for pre-order starting Thursday. 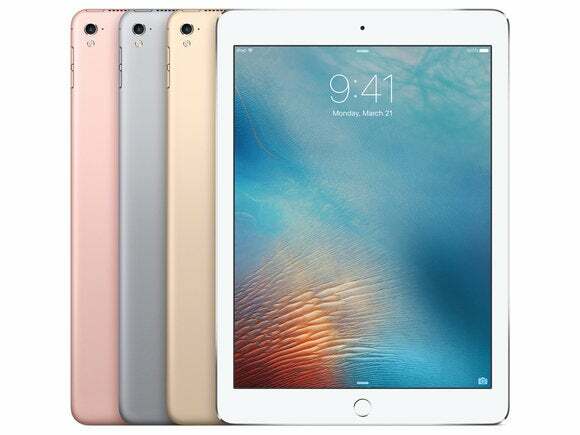 The compact iPad Pro has everything its big brother, the 12.9-inch iPad Pro, has, including a 64-bit A9X processor with an M9 motion coprocessor, Touch ID, and Apple Pencil compatibility. It also boasts a 12-megapixel front-facing camera, a wider color gamut, and True Tone technology, all of which are an improvement over the larger iPad Pro. Does this sound like the perfect iPad for you? Good news: Preorders started at 12:01 a.m Pacific/3:01a.m. Eastern on Thursday—one week ahead of its March 31 release date—and you have a few different pre-order options to choose from. Besides the Apple Store—or your Apple Store app for iOS—you can also preorder the iPad Pro through preferred retailers like Target and Best Buy. If you’re opting for the Wi-Fi and Cellular model, Apple is selling them unlocked, so you’ll set up your data plan separately through your carrier. AT&T: AT&T’s prices are actually $99 cheaper than what Apple is offering, with the 32GB version priced at $630, the 128GB version for $780, and the 256GB version for $930. Under an AT&T Next plan, you could choose monthly installments starting at $36.50 for the 32GB version, $44 for the 128GB version, and $51.50 for the 250GB version. 32GB: Pay $730 in full, with no contract needed; $630 down with a 24-month contract and no monthly installments; or $275 down with a 24-month contract and $18.96 in monthly installments. 128GB: Pay $880 in full, with no contract needed; $780 down with a 24-month contract and no monthly installments; or $300 down with a 24-month contract and $24.17 in monthly installments. 256GB: Pay $1,030 in full, with no contract needed; $930 down with a 24-month contract and no monthly installments; or $375 down with a 24-month contract and $27.30 in monthly installments. T-Mobile: Your T-Mobile options are straightforward—you’ll pay the device off over 24 months. The 32GB model will cost you nothing up front, and monthly installments cost $30.42. For the 128GB model, you’ll pay $160 up front and then $30 per month in installments. And for the 256GB version, you’ll pay $310 up front and $30 per month in installments. Don’t forget T-Mobile’s $20 SIM Starter Kit, which is required for new devices. Verizon: Not to be outdone, Verizon has priced their iPad Pros to beat what AT&T is offering. Under a two-year contract, the 32GB iPad Pro costs $530 up front, the 128GB version costs $680, and the 256GB version costs $830. If you’d prefer Verizon’s Device Payment plan, you can pay monthly installments of $30.41 (32GB), $36.66 (128GB), or $42.91 (256GB). Are you preordering a 9.7-inch iPad Pro, or are you going to stick it out and wait until they hit stores on March 31? Sound off in the comments below.